Great leaders are generally very self aware, but this is not the case for everyone. Few really appreciate the impact they have on other people, which is why it’s important to start with you. As business owners and leaders, we can be so busy building our business or department that we focus more on the task than our people. When doing so, we can easily forget the effect we have on our team. On the other hand, team members are very aware of their leader. They notice everything about us every little expression on our face gets noticed and filed away for future reference. It is for this reason that, as a leader, you need to truly understand your impact, both through critical self assessment and through feedback from others. In my experience, leaders are not that great at seeking feedback on their style and behaviour. If you don’t take time to look at your leadership style, or you’re not consistent in the way you operate, you’re leading in a bubble. People will talk behind your back, especially when you’re not there, and they could even revolt. And that’s why we start here, at Point 1 of the 8 Point Plan. This is where you hold up The Mirror, giving you the means for taking a good look at yourself. Don’t be tempted to miss out this point, or it’s likely that you’ll experience a high staff turnover or you’ll become so disgruntled that you leave instead! 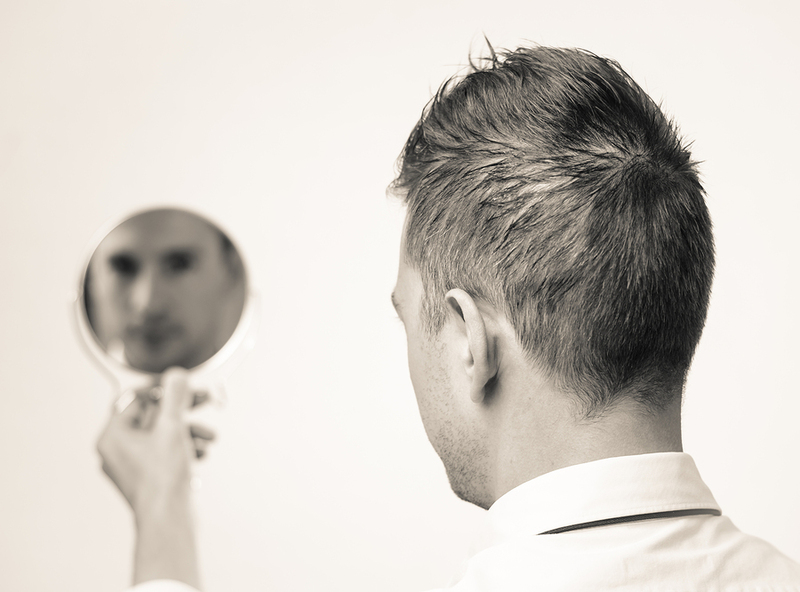 My favourite ‘Mirror’ method is the beautiful psychometric tool called Insights Discovery®. Based on the pioneering personality profiling work of Carl Jung, the Insights Discovery® model has transformed thousands of lives. It’s based on the idea that four personality traits, or energies, are present in all of us and the different balances between them are what makes us unique. Cool Blue, Fiery Red, Sunshine Yellow and Earth Green. To discover your individual profile, you simply complete on online evaluator. The model is highly memorable and user-friendly and makes an instant impression on people. The profile you receive is a powerful development tool. It gives you information on your own perceived strengths, weaknesses, value to the team, communication style, blind spots, how to deal with your opposite type, and suggestions for development. Teams get to see their own individual profiles and that of the team as a whole, which is presented as a colourful, visual picture. It quickly becomes a common language in an organisation or department and it’s the best tool I’ve come across (and I’m accredited in more than a few). Once you know your own profile, you can explore how colour energies contribute to your management style. You can discover your own strengths by filling in your details on our Insights Discovery® page. Go on, do it now! I’d love to support you in getting started on Point 1 of the 8 Point Plan. What kind of a leader do I want to be? Your responses will give you clues to the areas you need to develop. Which leaders capture my imagination? Who do I want to be like? A third – and very cool way – to hold up The Mirror and have a good look at your leadership qualities can be found here. Look out for our next blog post when we’ll be moving from the Insights part into the Liberating Leadership part. Liberating Leadership is the award-winning leadership programme I worked on with Dr Derek Biddle. It gives you the perfect way to model high performing leaders and improve your own skills.